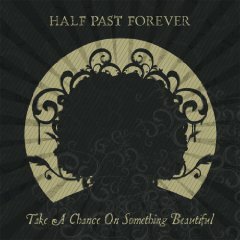 Small-town sensation Half Past Forever have finally broken onto the national scene with their new album Take a Chance on Something Beautiful. 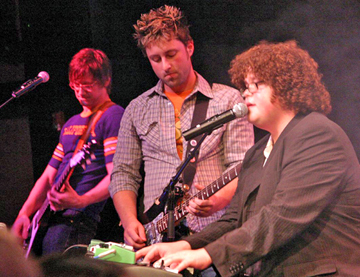 The draw for new listeners will no doubt be American Idol phenom, Chris Sligh, but don't be surprised to find his equally astonishing flair for songwriting and production. Even if the songs here weren't already his own, Chris's smooth control and distinctive, urgent ownership would make you believe he was spinning these wonders out of thin air. Backed by accomplished guitarists Adam Fisher and Cole Edmonson, Chris's gifts have the platform they've needed to let loose and shine. 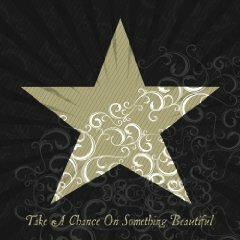 In 2006 the band emerged with 45 new demos that would be whittled down to create their Take a Chance on Something Beautiful which was produced over a few months in Sligh's home studio. Fisher had engineering experience from recording his former band Nova 77's, and Sligh had production experience from two earlier solo records. The album has since received critical acclaim for the songwriting, production and vocal work. Sligh produced, and wrote or co-wrote all of the album's seventeen songs. 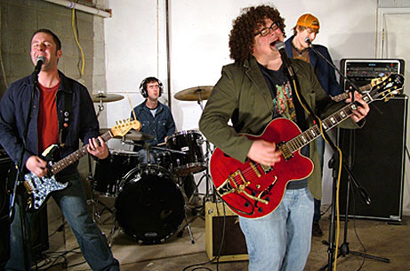 The band originally released the album independently March 13, 2007. The band sold over 20,000 albums before Brash Music licensed the record to be released nationally. The album re-released July 10, 2007. Take a Chance is old school in some ways, delivering the refreshing album-based songwriting you didn't think existed in the mainstream anymore. Though several tracks should rightly become singles, this music was meant for more than 3-minute snatches, and has the wholeness of a concept album without the need for a concept. In other ways, the album is also on the leading edge of musical creativity. Alongside the delicious hooks of chart-bound hits like "Know" or "In a Moment," you're just as likely to find the complex musicality of songs like "Convenience," which melds hypnotic synth and soulful crooning with tinges of "A Day in the Life" and Gnarls Barkley. Or "Naive," which opens like a sorrowful Goo Goo Dolls hit, only to incorporate bits of Seal and Coldplay to refine the sound. Actually, the musical background here is so eclectic, it's probably most sensible to call this sound a remarkable beauty being born. It is an album that rewards multiple listens, and it may take you a dozen times through to begin realizing the lyrical depth or the calm interlacing between songs. Along with his Idol fame, Chris has a couple national songwriting awards under his belt, and it's not hard to hear the talent. You'll probably have the chorus to "Know" memorized by the third time around, but it may take a little longer until the meaning hits you like a slap in the face. And when Chris's half-despairing "I'm gone" moves into the album's last track, it's answered with the nascent discovery, "Now I know the pictures I hold on to are gone away / ... Maybe getting older brings me closer to you." There is remarkable range here: you'll find yourself carried away by equal parts free-spirit and turbulence, with songs evoking the spectrum from arena to quiet personal space. And all the while, Chris's soaring baritone will keep its enticing hooks in you. Certainly, there are missteps, and there is room for the music to grow. But Take a Chance on Something Beautiful is the sound of a band coming into its own.